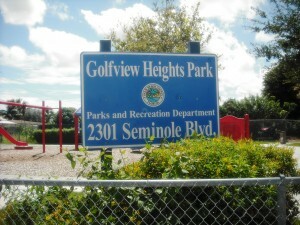 Golfview Heights Park is a neighborhood park located right off Cherry Road on Seminole Blvd. Quite small in comparison to other parks (less than 1 acre) but adequate for this area. 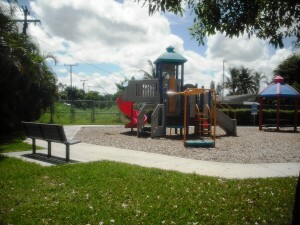 The park is fenced off for safety purposes as it is located right off residential streets. 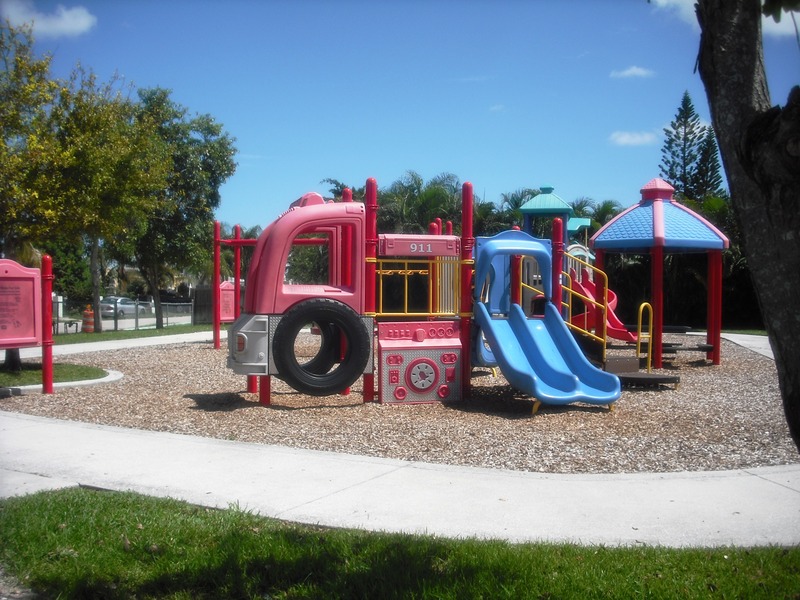 When I visited the park in the middle of the day, the gate was locked so keep that in mind however this park is mostly used by the local neighbors and their children. 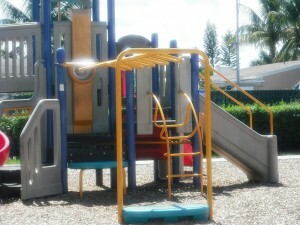 There is enough to keep children occupied with however there is no green area for them to run around. 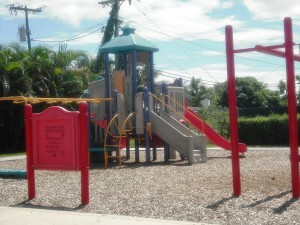 The center area has nice soft sand and a sidewalk on the outside perimeter. A water fountain is provided as well as a couple of benches but no restroom facilities. This park is better suited for people living in this area where they can just walk up to the park and visit with their children. It’s really more like a big playground than a park. There is no parking available which makes it difficult for many residents to visit this park. 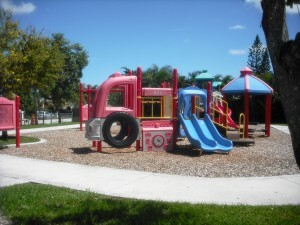 Overall this is a good place to take the kids for fun if you live close by.